Can We Justifiably Assume the Cosmological Principle in Order to Break Model Underdetermination in Cosmology? If cosmology is to obtain knowledge about the whole universe, it faces an underdetermination problem: Alternative space-time models are compatible with our evidence. The problem can be avoided though, if there are good reasons to adopt the Cosmological Principle (CP), because, assuming the principle, one can confine oneself to the small class of homogeneous and isotropic space-time models. 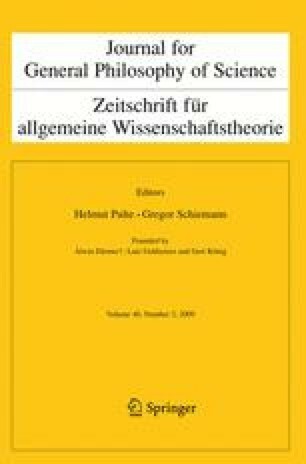 The aim of this paper is to ask whether there are good reasons to adopt the Cosmological Principle in order to avoid underdetermination in cosmology. Various strategies to justify the CP are examined. For instance, arguments to the effect that the truth of the CP follows generically from a large set of initial conditions; an inference to the best explanation; and an inductive strategy are assessed. I conclude that a convincing justification of the CP has not yet been established, but this claim is contingent on a number of results that may have to be revised in the future. This work was supported by the German Academic Exchange Service (DAAD) and by the Center for Philosophy of Science at the University of Pittsburgh. I’m grateful for comments by two anonymous referees and by Lydia Patton. Furthermore, I’d like to thank John Earman, John Manchak and John Norton for discussion. Carroll, S. M. (2001). The cosmological constant. Living Reviews in Relativity, 4(1), http://relativity.livingreviews.org/Articles/lrr-2001-1/. Luminet, J.- P., & Roukema, B. F. (1999). Topology of the universe: Theory and observation. In: NATO ASIC Proc. 541: Theoretical and Observational Cosmology (pp. 117–+). Preprint available under http://arxiv.org/abs/astro-ph/9901364. Manchak, J. B. (2009b). What is a ’physically reasonable’ spacetime? mimeo http://philsci-archive.pitt.edu/archive/00004506/01/PhysReas.pdf. Norton, J. D. (2009). Observationally indistinguishable spacetimes: A challenge for any inductivist, mimeo, http://philsci-archive.pitt.edu/archive/00004505/01/Norton_Obs_Equiv.pdf.